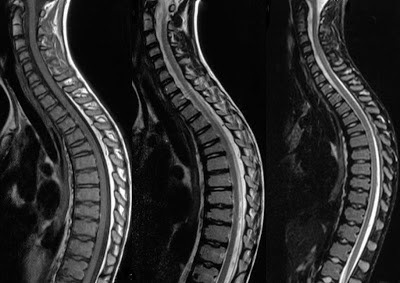 MRI Cervico Dorsal region spine sagittal T2w images show multiple and contiguous involvement of vertebral bodies in dorsal region. Antero posterior elongation of vertebral bodies. 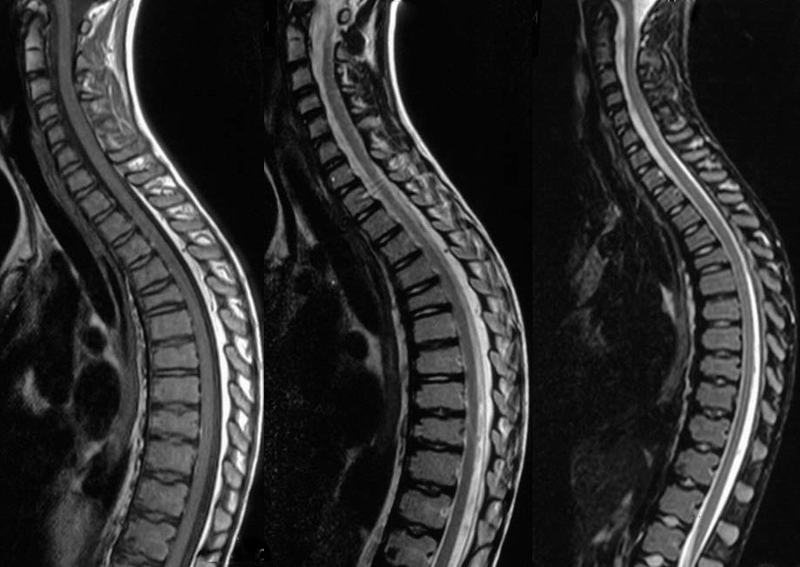 Associated Schmorl's nodes, end plate irregularity and disc space narrowing. Reduced height with anterior wedging of D5, exaggerated kyphosis. Findings are Classical of Scheuermann's disease. A k a Scheuermann kyphosis.